Sometimes the simplest of images contain a lot of hidden depth and this is a photo I found myself looking back on and enjoying more each time. 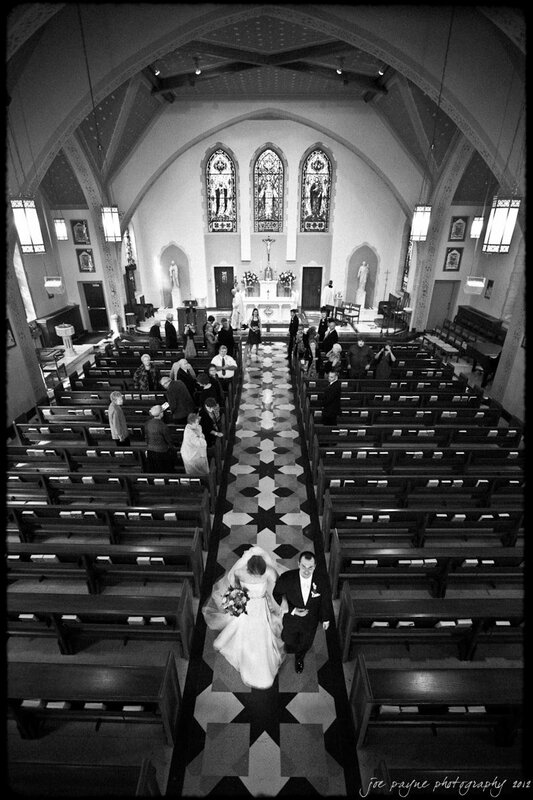 From the composition drawing on the beautiful architecture of Raleigh’s Cathedral of the Sacred Heart, to the priest and deacon making their way from the altar, the congregation breaking file to take in the proceedings, the leading lines of the aisle and the furtive glance of the groom to the camera bring together a lovely moment into a really nice story-telling image. 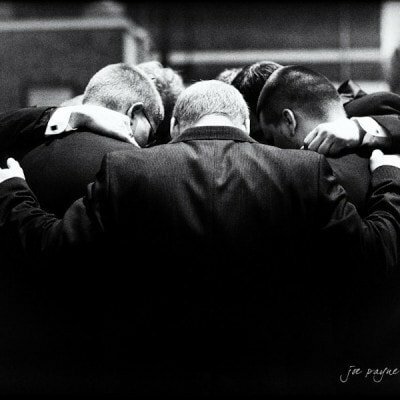 Many churches are quite specific with regard to providing instructions as to where the photographer can and cannot work from; some are relatively relaxed whereas others are very restrictive indeed. The Cathedral of the Sacred Heart definitely falls into the latter category as the photographer is only allowed to work at the back of the church during the processional and from the choir loft at all other times. To say this restricts the photographer’s creativity would be a relative understatement. However, it is a challenge I enjoy and by using a variety of lenses and waiting for moments like these to manifest themselves, a really nice selection of images can still be made to tell the story of the day. For this photo, I used an ultra-wide angle lens and composed to bring in the lines and geometry of the church. As the bride and groom made their way down the aisle for the recessional, I waited for the right moment to press the shutter. I took three frames at this stage and this one, with the groom making a split-second of eye contact with me was the best image of the series. The look of happiness and satisfaction on his face is subtle but defining of a very beautiful moment indeed.